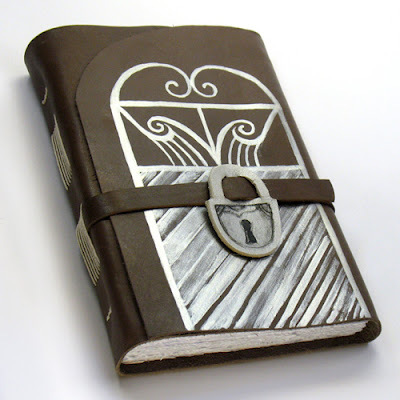 Anca, known also as Baghy, named her journal "Silver Gate." She took special care make a selection that would be appropriate for it's male recipient. 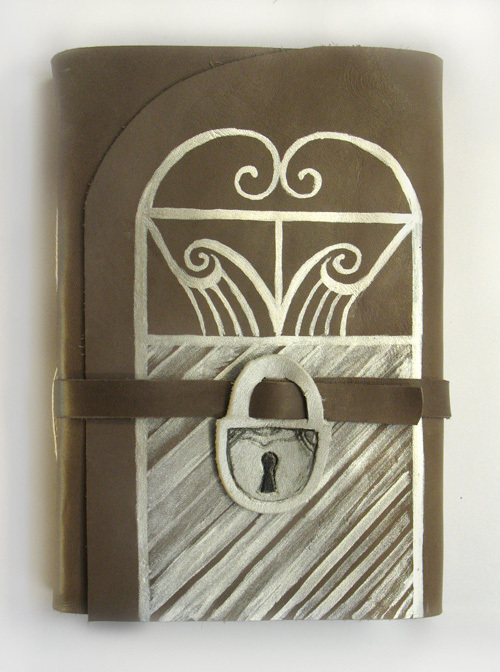 Anca describes Silver Gate as follows: "It's cover is made from smooth brown leather and painted with silver special color. I've made a sweet lock shaped buckle out of a silver piece of leather. It has 168 pages, counted both sides, thick 160gsm acid free white paper, great for drawing and writing." 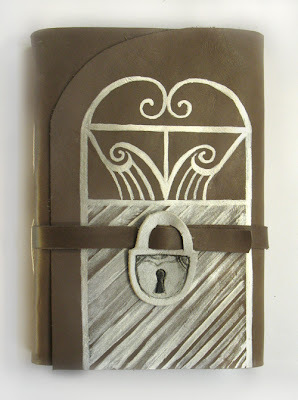 Anca's journals can be found in her shop at www.baghy.etsy.com. Oh yay ... that's mine, I think. Can't wait! love this book and site. I had to look twice to see the little lock was made of leather! Very clever! I just got it in the mail! The leather is so soft! Thanks a ton!